Join us as author Jeanine Donofrio presents the newest addition to her Love & Lemons series of cookbooks. The ultimate guide for cooking outrageously delicious, vegetable-packed meals every day of the week, from bestselling author of The Love & Lemons Cookbook. Known for her insanely flavorful vegetable recipes and stunning photography, Jeanine Donofrio celebrates plants at the center of the plate with more than 100 new vegetarian recipes in Love & Lemons Every Day. In this book, Jeanine shows you how to make any meal, from breakfast to dessert, where produce is the star. Butternut squash becomes the best creamy queso you've ever eaten, broccoli transforms into a zesty green "rice" burrito filling, and sweet potato blends into a smooth chocolate frosting. These exciting and approachable recipes will become instant additions to your family's regular meal rotation. This book is a resource, filled with smart tips for happier, healthier eating. You'll find inspiration from Jeanine's signature colorful infographics - such as a giant matrix of five-ingredient salad dressings, a guide to quick weeknight pastas, and a grid to show you how to roast any vegetable. There are also plenty of practical charts, such as a template to make versatile vegetable broth, seasonal produce guides, and clever ideas to use commonly tossed vegetable parts -- you'll never toss those cauliflower cores, corn cobs, or broccoli stalks again! Packed with imaginative every day meals, go-to cooking tips, alternatives for dietary restrictions, and guides for mastering produce-based kitchen staples, Love & Lemons Every Day is a must-have for herbivores and omnivores alike. Jeanine Donofrio is the author of The Love & Lemons Cookbook: An Apple-to-Zucchini Celebration of Impromptu Cooking and Love & Lemons Meal Record & Market List. "Happiness itself is tossed into every bowl," The New York Times said of her first cookbook, while Bon Appétit hailed it as "the most beautiful cookbook we've ever seen." Jeanine has been featured in People, O: The Oprah Magazine, Self, Shape, Mind Body Green, Design*Sponge, Redbook, Food52, Refinery29, and many more. 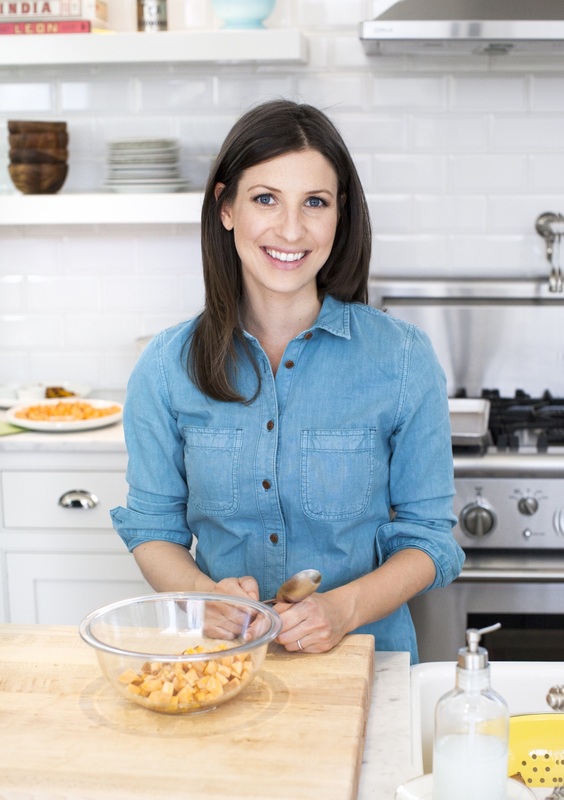 As author of the popular Love and Lemons blog, she partners with leading brands, including Whole Foods and KitchenAid. She and her husband, Jack, cook and photograph from their home in Chicago while their two Shiba pups help clean up the kale stems that fall on the kitchen floor.